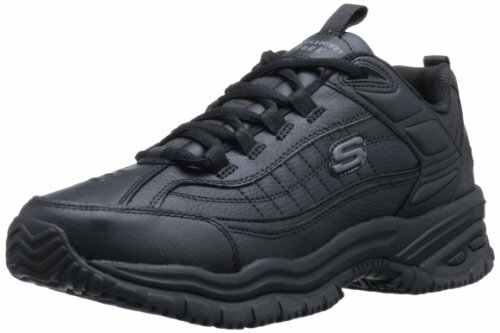 Give hard-working feet the comfort they deserve and the slip-resistant traction they need in Skechers Work Men's Galley Lace-Up Shoes Lace up this breathable leather sneaker and stay steady on your feet at work. The slip-resistant rubber outsole offers sure-footed traction. The phylon midsole delivers comfort that’s light on your feet. Removable polyurethane insole for added comfort.